In a business either one is selling goods or providing service. If you are seller , you may need to find supplier, decide the type of stock you require in order to map out the ordering process. This helps to regulate the process of storing the raw materials and finished products. Navigate to the Inventory Module and the from Purchase Menu select Vendor Purchase. Vendor Purchase screen has the ability to perform stock purchase within SapphireOne solution by selecting appropriate Inventory ID and the particular Inventory item that you want. Alternatively, if you can perform this process by simply scanning the barcode, if it is available. After generating the Vendor purchase it can be visible from Transaction inquiry of purchase section of inventory module. There is also option for entering additional information for purchase order. You can link purchase vendor invoice to particular project, you can also copy previously completed invoice to the existing one and attach related invoices as form of PDF file or others. More details sub menu contains additional sections such as Shipping info, FX details, Layout setting and others. All these functionalities are accessible from Purchase section of inventory module within SapphireOne. 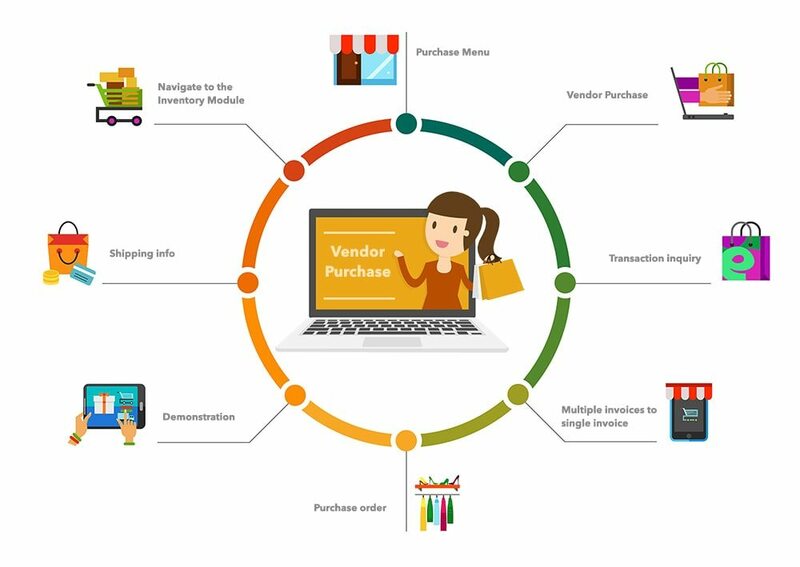 Watch and learn the process of Vendor Purchase by simply watching the video below. This movie demonstrates how to enter a Vendor Purchase. The Vendor Purchase is the 5th data entry item located on the Purchase menu in the Inventory mode of the SapphireOne ERP, CRM and Accounting Software solution.